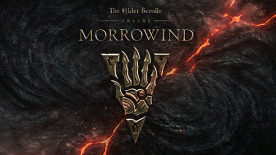 Includes Elder Scrolls Online: Tamriel Unlimited. You will receive your key on or before the release date. Players will harness nature-based magic to master the powerful new character class - The Warden. The Warden is the first new class since launch of ESO, and true to ESO and the Elder Scrolls franchise, the player will have the freedom to select from a number of abilities that enable a variety of play styles. The Warden also introduces a devastating new combat ally – the War Bear – a ferocious fighter will stay by the Warden’s side through the most intense battles. This is the Elder Scrolls Online that the fans have been waiting for, as we take a trip back to the island of Vvardenfell which first featured in The Elder Scrolls III: Morrowind. This is the biggest Elder Scrolls Online yet as players will receive over 30 hours of brand new story content. What’s more there is a brand new Warden Class for players to try. The Warden class harnesses the power of nature-based magic and also comes complete with the War Bear, who is able to dish out devastating attacks to your enemies. With a new PvP mode included as well this is going to be the best update for The Elder Scrolls Online yet.